2017 Mexico Expo Electrica International Fair. ﻿ Home > Company News > 2017 Mexico Expo Electrica International Fair. 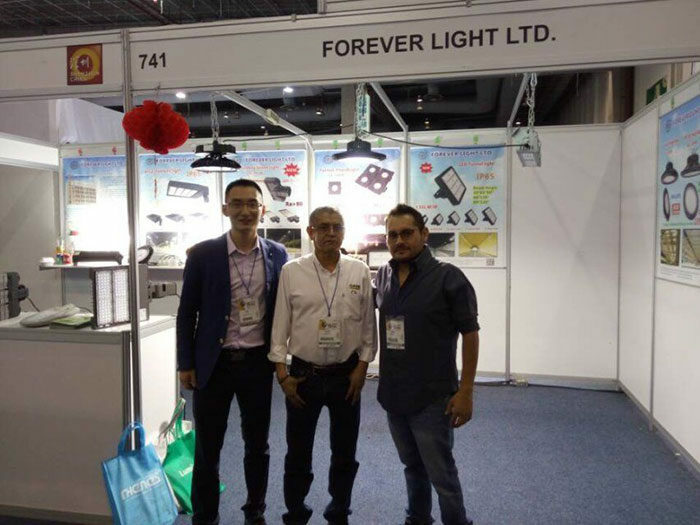 Our company attended to the Mexico Expo Electrica International Fair in June, 2017. 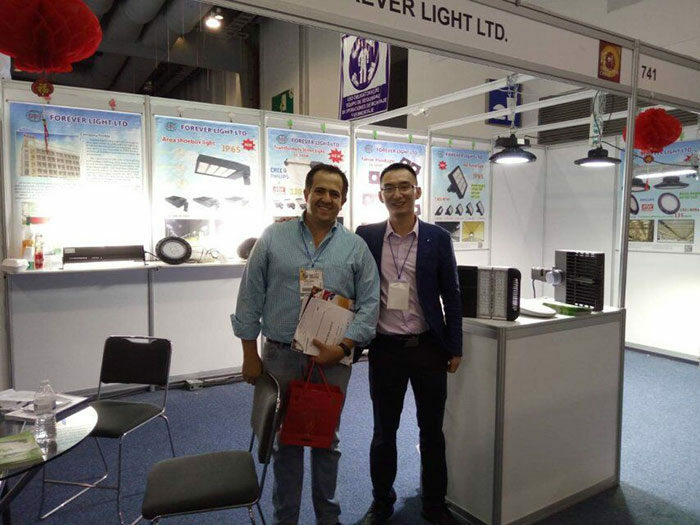 We had an in-depth communication with several long-term partners, including one of the owners feeling that the cooperation with us was relatively delighted in the past 9 years, and the quality of our products and services have also been greatly affirmed. 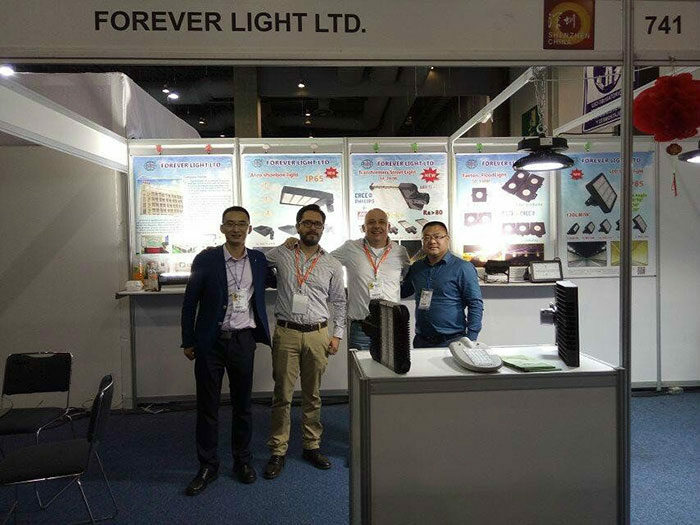 The exhibits of LED highbay lights, LED street lights and LED shoebox lights are recognized by many professional clients, it also gives us full confidence in the market!